Is BOTB a Scam? Read 13 Reviews! 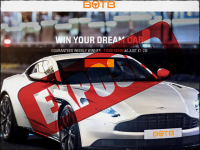 BOTB (Best Of The Best) Exposed — How to Win a Car? Ever dreams of owning that amazing car. Botb.com offers just that. This is a weekly competition to win a dream car. BOTB is a car drawing. It’s played weekly by purchasing tickets and the “spotting the ball”. You are shown a picture of a football match and you’ve got to guess where the ball should be. When the contest closes, the judges decide where the center of the ball is and then whoever is closest to this point wins. It’s that simple. Tickets range in price from £3 – £20 depending on which car you want to win. That was where I got seriously distracted surfing through the different vehicles. I seesawed between the Maserati and the Alfa Romeo. The BOTB’s game is open to anyone 16 years of age or older depending on the “age of majority” where you live. What is clear is anyone can play from anywhere – as long you don’t work for botb.com. The only downside is if you do live outside the UK, there could be other costs on claiming your dream card. What Are the Prizes Offered by BOTB? For the Dream Car Competition, there is one car award. It looks like the winner gets to choose from the vehicles advertised. Any options or upgrades are paid by the winner. First prize includes insurance for the 1st year and one year warranty servicing. Winners have the option to take cash at a value of 80%. There are 20 runner-up prizes of £200 of Dream Car tickets for another competition. Oh, and if there is a tie for the Dream Car, the person who loses gets £500 cash and £500 worth of more tickets. 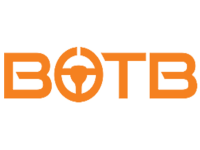 BOTB is a registered company in the UK listed on the AIM market of the London Stock Exchange and has been around since 1999. They have a snail mail address, phone number and email address – plus an online form. This is the dream child of William Hindmarsh who always wanted to own that dream car and decided to set up a game for others to be able to do that. When I first looked at the prizes offered in BOTB’s Dream Car Competitions, I got all excited because I misread the small print. I thought it said that ticket entries to each of the prizes are limited to 150 people. What it actually says is, tickets are limited to 150 per person plus any “Supercharged Loyalty Club Tickets”. The Supercharged Club is a bonus system for extra tickets and refer-a-friend cash awards. Also in the small print, if the car is delivered in the UK then UK VAT is paid by botb.com. If it is delivered to Europe, UK VAT is paid, but any other costs like taxes, import duties and registration costs will paid by the winner. That goes for any other country. They’ll get to the closest port and then you’ve got to sort out the rest. Botb.com will contact the winner, but if they can’t within 5 days, then it goes to the next person. Disqualification can also take place if you break the rules of the game and mostly that looks like getting more than the limit on tickets. Winners have to provide a copy of their passport, prove the credit card used to purchase tickets was theirs, provide pictures of them and pose for photos and videos. The reviews on their website are great though that would figure. Botb.com does say they post everything said. Other sites were just as positive, so it looks like this site does just what it says it does – offers a car a week to win. Is BOTB.com Scam or Legit? This site looks legit and does exactly what it says – players can win a car a week. What a riot! I love the concept of a chance to win my dream car. The spot the ball thing is a hilarious way to choose a winner. The only downside is not knowing how many other people you are playing against! BOTB gets a thumb’s up partly for its simplicity and partly for the amazing different dream cars to win. I’m going back to looking at cars! BOTB is a legit website. I played this about 10 years ago and tied for first place with two other people. We had to do an extra draw and I didn’t win first but, at that time, you could choose between different cars or 90,000 GBP so they decided to split the 90k – 50k for first and the other two got 20k. I thought it was a scam but I did get the 20k GBP. I even got a chance to claim the second place prize of a supercar for 24 hours but you had to pay 5k GBP deposit, charge 1 GBP per mile with only 100 free miles and you actually only got the car for 23 hours. At the time, I couldn’t afford doing that. BOTB is not a scam but is misleading. If you win land on the correct pixel then you go to another competition if there are other correct placings, the surface add is very seductive but don’t be fooled, this is one competition where you do need to actually read the t&c’s. The winners always look like they are not below the poverty line and expect violent online berating from the press and neighbours if you win whilst on dwp benefits and mainly come from England. The filming part is compulsory and the likely hood of a life of pain will follow. What goes around comes around. Pay back hurts like a dog that don’t pee on trees! Trick or treat 🎃? Stop scamming people! I have many doubts with this game, many of the players who won have searched for it through social networks and very few have published the alleged prize. I wrote to one of them and asked him if it is true and he never answered me. Been playing BOTB for many years now, although I have not won a car, I know I have much better odds of winning than the National Lottery, and it’s fun at the end of the day when the fun stops STOP. I am from India this game scam I play a game but when I use my debit card to pay money for tickets it doesn’t work’s and also shown your card is declined I also try my another card by the same problem. Totally agree with Mr. Harman. I have played BOTB a number of times and always get a return to play again. It is not a scam. Someone local to my workplace won a car recently. People think these contests are a scam because they play and don’t win. It is a bit of fun to win a major prize. If you don’t treat it as such don’t play it. Simple! I chatted with them and told them that they need to have a second and third place winner and it would be more fair. Also in the picture the judges are just guessing where the ball is. They never see where the ball was original at. I told them that that is not a fair contest. They try to say that they are on the stock market like that means anything. Enron was on the stock market and we saw what happen with that. They said they tried to call me for my concerns and they never did and I had my phone next to me the whole time. Stay away from botb.com! I rate BOTB as one of the best chances of winning a substantial prize. Who cares what the odd’s are, no it’s not like the Lottery with odd’s of 14 million to one. BOTB is a game of skill where you use your eyesight to determine where you think the ball is. These type of games were very popular in the sixties and seventies with several daily newspapers offering prizes of up to a million pounds! Because you don’t win does not make it a scam. I was a bit dubious at first thinking hang about these guys get to choose where the ball is? I wonder how many of there friends and family comes away with a car on a regular basis?? But now I do see it as a bit of fun, do not spend a fortune on tickets or it then does not become fun but a gambling habit, just buy or two tickets and have fun placing that football you never know what it may get you?